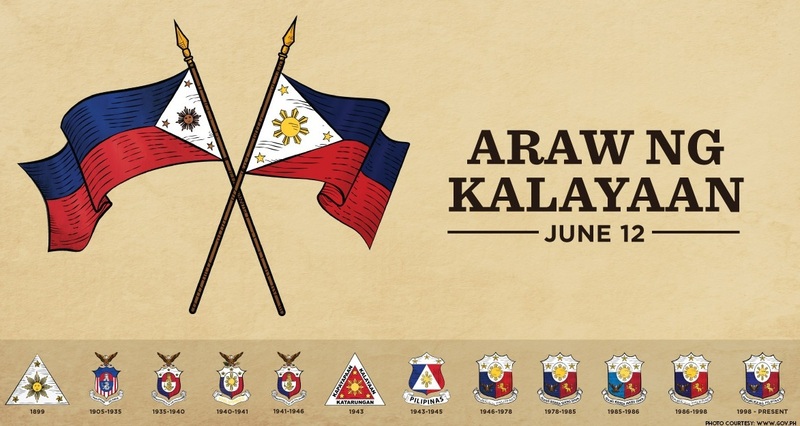 The Philppines will be celebrating its 118th Independence Day with the theme "Kalayaan 2016: Pagkakaisa, Pag-aambagan, Pagsulong". The celebration will be led by President Benigno Aquino III, with a flag-raising ang wreath-laying rites at the Rizal Monument. A 21-gun salute at the Rizal Park will also mark the event. According to Communications Secretary Herminio Coloma, similar rites will also be held in key cities nationwide. Aside from these commemorative activities, Filipinos will have the chance to participate in several activities at the Rizal Park like the run-for-a cause and Hataw/Zumba exercises. There will also be a light and sound presentation on the life of the country's national hero entitled "Martyrdom of Dr. Jose Rizal" at the Light and Sound Complex at the Rizal Park. Best of all, Filipinos can avail of several freebies during the celebration of the Independence Day. Free vegetable seeds and seedlings as well as free agricultural information will be distributed by the Department of Agricultural and its agencies. MRT and LRT rides will be free from 7 A.M.to 9 P.M. and from 5 P.M. to 7 P.M., courtesy of the Department of Transportation and Communication. Free medical and dental services will also be offered by the Department of Health. The Department of Labor and Employment also will be holding simultaneous job fairs in several parts of the country, offering around 22,000 local and foreign job opportunities to job-seekers. Meanwhile, Filipino communities abroad have also posted online their lineup of activities for Independence Day. Some Filipino groups abroad have even invited Filipino celebrities to join in their celebration. Manny Pacquiao, for example is expected to attend the Philippine Independence Month in Guam. How about you? How are you planning to celebrate the Independence Day? If you cannot participate in any of the Independence Day activities stated above, it would be good to revive the tradition of at least displaying the Philippine flag outside your home. After all, patriotism never goes out of style.